It may raise hackles to think that U.S. intelligence officials might be monitoring your telephone and Internet communications, but for most of us it’s only the marketers who are really interested in our everyday online activities. And with many billions of dollars at stake, companies are increasingly turning to more sophisticated techniques to identify potential clients and deliver relevant advertising. Many Internet advertisers rely on cookies, digital code stored on your browser. Some websites place multiple cookies when you visit, allowing them to track some of your activity over time (you can see who is tracking you by installing an application such as Ghostery or Abine’s “DoNotTrackMe”). To combat the cookie’s flaws, advertisers and publishers are increasingly turning to something called fingerprinting. This technique allows a web site to look at the characteristics of a computer such as what plugins and software you have installed, the size of the screen, the time zone, fonts and other features of any particular machine. These form a unique signature just like random skin patterns on a finger. The Electronic Frontier Foundation has found that 94% of browsers that use Flash or Java – which enable key features in Internet browsing – had unique identities. Fingerprinting may prove a more robust tracking technology than cookies because the user’s identify endures even if they erase their cookies. Making changes to your software and settings only makes you more identifiable, not less. An EFF study several years ago found that it is easy to track when someone changes their profiles by adding software updates, for example. You can see what details your computer is transmitting right now by visiting this site. 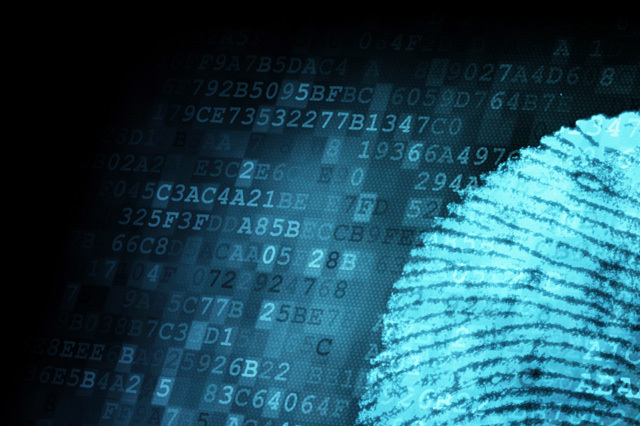 A startup called TapAd, profiled recently by Forbes, is growing fast from sales of its fingerprinting technology. But the marketers using fingerprinting technology are often reluctant to talk about their efforts, lest they alarm the public. One business transparent about such efforts is a San Francisco start up called AdStack. They have developed a technology that allows firms to send an email but deliver the content only when a user opens it, giving the sender a chance to change the message in a few milliseconds. The email is sort of like a picture frame, with the content delivered interactively much as a webpage. They aim to deliver a personalized message at the right time. For example, if you open a restaurant promotion in the morning it might advertise a lunch special, or later in the day, dinner. And perhaps they know you like sushi rather than steak. A flower store might advertise different specials depending on their inventory at the time a person opens their email. In helping clients decide what ads to send via email, AdStack partners with Rapleaf to learn more about people from their email addresses. Rapleaf appends data as such as age and gender, and says it has at least one field of additional information for about 80% of all U.S. consumer email addresses. Armed with this extra personal data, the advertiser, using an AdStack plugin generating code in their email, tries to serve up the most relevant ad to an individual user. AdStack says clients have included online travel companies and retailers such as Publishers Clearing House. They charge between $1,000 and $50,000 for their services, depending on how many emails are sent out in an ad campaign, says CEO Evan Reiser. We have data on at least tens of millions of people, he says. The head of online advertising for a major company said the decay of cookies over time, the growth of mobile phones and different kinds of portable devices and Apple AAPL -1.12%’s default settings all make fingerprinting the key for future online advertising. Yet he knows that embracing fingerprinting in public could potentially damage his company’s reputation, so he asked that neither he nor his firm be identified.